We put out a major press release early this morning. At the big SMB Online Conference in June, we'll start each day with an overview of the theme of the day. Our line-up of speakers is unbelievable for the SMB Space. 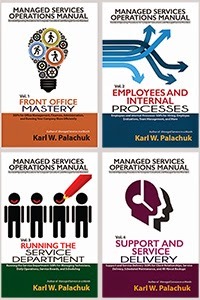 Sacramento, CA, April 25, 2012 – Technology author Karl Palachuk will address the need for strategic organization in his June 26th keynote address at the first major Online Conference for Small Business IT Consultants, Managing for Success 2012. His topic is Organize or Die. Palachuk will start each conference day with a presentation of the “theme of the day” and then provide a discussion of some standard operating procedures related to the theme of the day. Palachuk is a prolific blogger and is well known for his SOP Friday series at smallbizthoughts.com. The SOP Friday series picks one topic each week and explores the standard operating procedures that technology consultants might adopt. 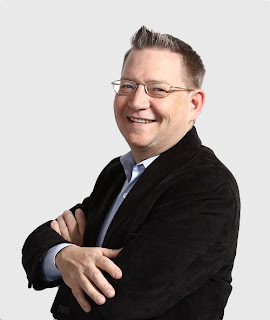 The June 26th agenda includes Bob Godgart on Building Successful Partnerships in the Channel and other speakers on growth through acquisition, methods for measuring your success, strategic pricing models, and more. The overall theme for the first day is “Organize or Die.” Palachuk hopes to use that the stark message will motivate IT business owners to take an honest look about how they will succeed in the years ahead. Godgart is the founder of several wildly successful businesses and current Chairman of the Board of CompTIA, the Computing Technology Industry Association. Other conference speakers include Dave Sobel and Arlin Sorensen. 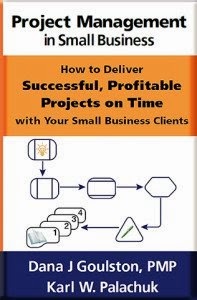 Sobel is the author of Virtualization: Defined, one of the first books ever written on virtualization strategies for small business. He is also one of the first Microsoft MVPs (Most Valuable Partners) for Hyper-V, Microsoft’s platform for virtual environments. Sorensen is the founder and CEO of both Heartland Technology Solutions and the HTG Peer Groups. Heartland Technology Solutions has seven offices in five states (Iowa, Kansas, Missouri, Nebraska and Oklahoma) and more than 75 employees. HTG is now comprised of 270 member companies throughout the U.S., Australia, Canada and the United Kingdom.